It is the dream of every woman to have the best jewellery collection bought from one of the best Best Gold Jewellery Shops in Mumbai. Want to know about a few classic pieces that will always remain trendy? Here are they. Do you think a woman gets satisfied with her wardrobe if it is missing a stunningly beautiful pair of diamond studs from the Jewellery Shop in Vashi? No, she won’t. The diamond rings bring an extra shining element to the outfit. The most significant benefit of a diamond earring is its versatility. It goes with any and every outfit. 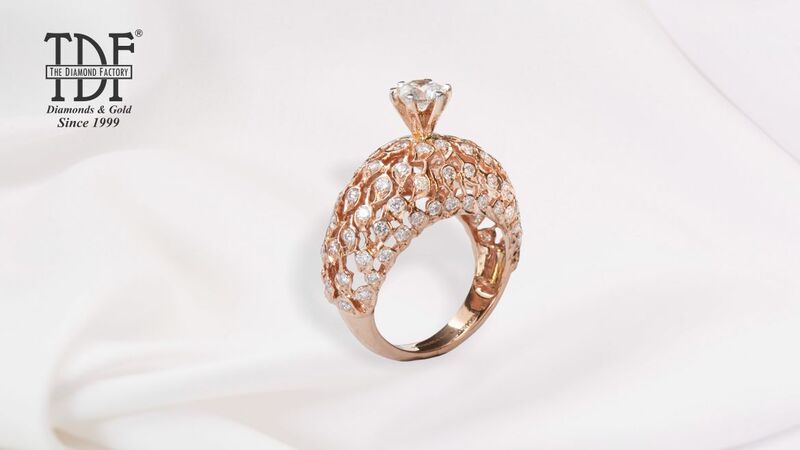 A cocktail ring is a style statement without any doubt. Since a century it has been ruling the fashion world due to the stunning beauty from the Best Diamond Jewellers in Mumbai. It is impossible to ignore this beautiful ring because of the large-sized stone mounted on the equally prominent setting. Hoop earrings are all-time-classics. It adds a superb grace to a casual dress or traditional. They are available in several colours and patterns. You can pick one that matches the personal preference and style of yours. Statement Diamond Necklace at the Bandra West Jewellery Showrooms is an outstanding classic. It has a long chain and a perfect pendant that enhances your presence on special occasions like wedding. The statement diamond necklace is an integral part of the wedding collection. You can get mind-boggling designs and patterns at renowned jewellery shops. Owning a charm bracelet or tennis bracelet adds a subtle hint of beauty. It has a unique elegance to any ensemble. Since a bracelet doesn’t become outdated, it is a perpetual style statement. It gets the name due to the Tennis Legend Chris Evert who always wore it as a lucky charm. Each piece of these pendants at the Best Gold Jewellery Shops in Mumbai is made with a lot of attention to detail. It arrives to the jewellery lovers ready for daily wearing, gift giving or keeping aside for special moments if you aren’t entirely crazy for jewellery. The choice is yours. Dare to layer if you are a real passionate person for jewellery. Yes, the trend is evergreen. Silver- and gold-plated chain necklaces are just right for layering, but it can be done with any metal for that matter. The look completely changes completely when you swap one necklace for another. Thus, the flexibility you get is just incomparable. With two spectacular crescents of uncut diamonds within each other make the distinct identity of Chand Bali. When studded with diamonds and precious stones within geometric outlines, they add a marvellous glory to the appearance of the woman. It is a ‘must have’ thing for every woman. With its exquisite beauty and intricate glory, temple jewellery is indeed one of the finest pieces of jewellery in India. It is known for elegant designs, ultimate craftsmanship and the perfect use of diamonds and precious stones. Adore your wardrobe with some elegant pieces from the temple jewellery collection. When you are passionate about jewellery, it is impossible to miss the solitaire ring. It is the first choice when couples shop for the wedding collection at the Jewellery Shop in Vashi. It is classic and elegant due to the ultimate brilliance of the diamond. Its seamless finish and brilliant assortment of diamonds give the best value for money.